This is the time of year when many families are gearing up for a new school year, establishing new routines, and thinking ahead to all the activities, events, and projects that come with the final third of the year. It’s also, believe it or not, when I start thinking about my planner for the next year! November and December are far too late to be thinking about the next year. Oh no, I start planning for it long before then. So, fall is actually when I make that all-important decision. 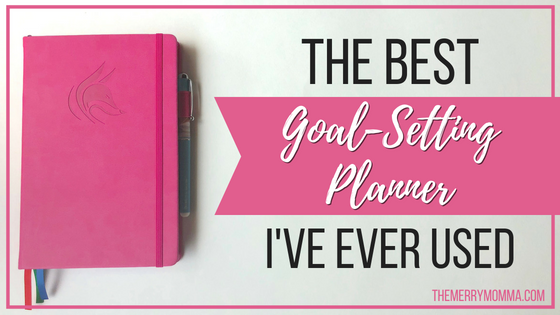 Last year, I gave you the complete scoop on my all-time favorite planner. (And they’ve come out with a ton of new things that I am drooling over big time.) And for everyday planning (as well as blog planning), I stand by my recommendation. So, if that’s something you could use in your life, buckle up and let’s begin our tour! 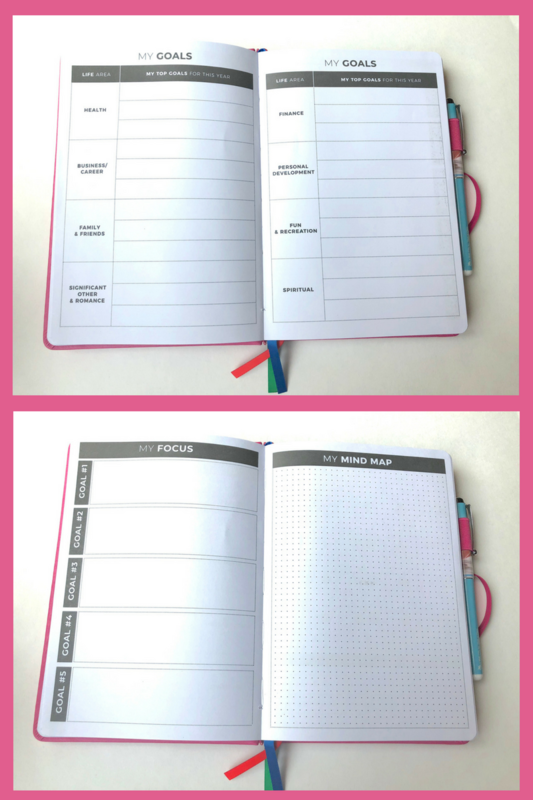 The Clever Fox planner is an undated 12-month planner and notebook designed to help users set goals, improve focus, and increase productivity. 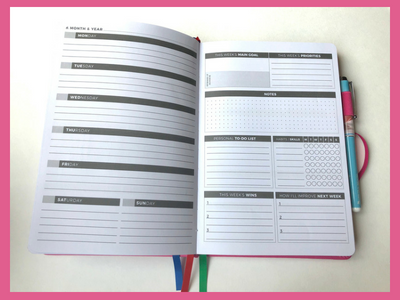 It includes a year’s worth of monthly and weekly spreads as well as a host of areas for goal setting, productivity tracking, and self-reflection. It also has a section of bullet journal pages in the back. It is bound in a sturdy leatherette binding with an elastic band, a pen holder, an accordion pocket, 3 ribbon bookmarks, and 3 pages of stickers. It comes in a lovely gift box with instructions and ideas for getting the most out of your planner. The price is very affordable, and Clever Fox backs their planner with a full money-back guarantee. Some people like this and some don’t, so I’m including it as both a pro and a con. The nice thing about it is that you can start on any month and use it for any year. This, to me, is the best thing about this planner. I absolutely love all the goal-setting tools. 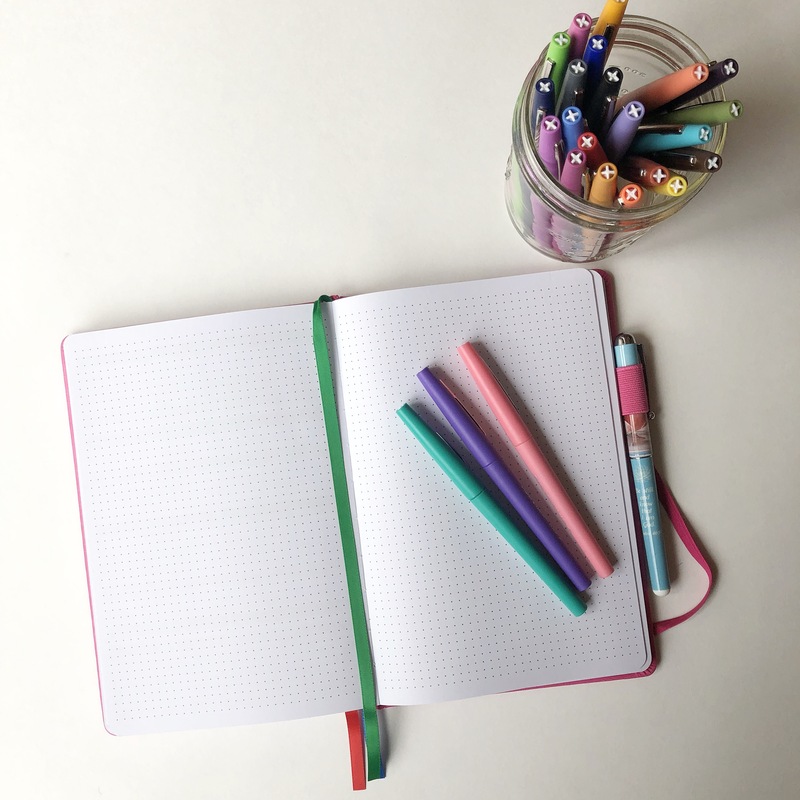 The top keys to achieving goals are 1) writing them down, and 2) creating action plans, and this planner helps to do both. The great thing about it is that it takes you all the way from the long-range vision stage through narrowing your goals to daily productivity tracking. And that is my ideal form of planning. I also like the review areas at the end of each month and each week. This is a section where you can reflect on what worked in the current month/week and think about what you want to do differently in the next. This is my second favorite feature of these planners. At the beginning of the year, you can write down any habits and skills you want to work on throughout the year. Then, at the beginning of each month, you can choose a few to focus on. My favorite part, though, is the tracker checklist in the weekly spreads where you can check off each day that you completed that particular habit or skill. It’s a simple thing, but the pen loop is pretty handy. It’s nice to have my pen always available anytime I want to use my planner. The price of these planners is a major pro. Planners can get pretty pricey, but these are very affordable. 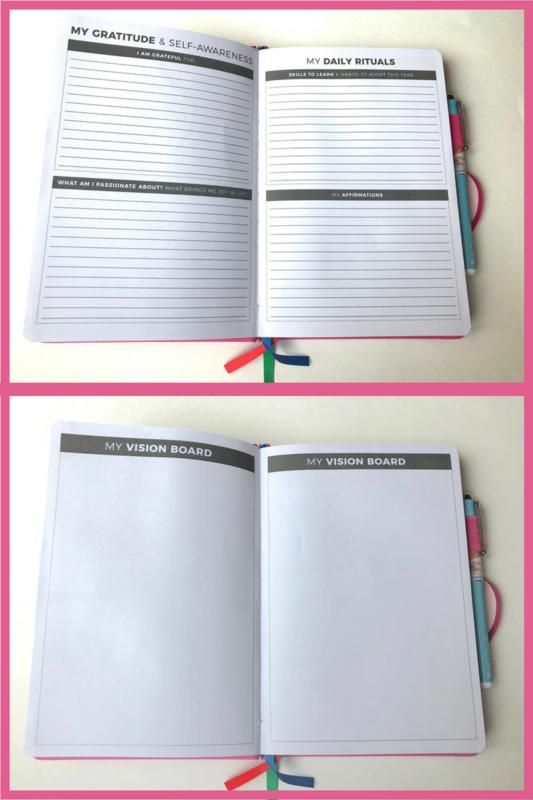 There is a lot of value packed in these budget-friendly planners! For some, the undated aspect of these planners could be a con. I, personally, don’t especially care for undated planners. It’s not a deal-breaker for me by any means, but filling in the dates is just one more thing I have to do, and it’s not something I want to spend my time doing. But, like I said, it’s nice if you want to start your planner in the middle of the year. When I started flipping through this planner, one of the first things I noticed was that all the monthly spreads are together at the beginning of the planner, followed by all the weekly spreads in the middle. I suppose there are some benefits to this — such as being able to flip quickly from one month to the next — and with an undated planner, perhaps this was the best set-up. But I much prefer to have each month followed by the weeks for that month. However, this inconvenience was rectified somewhat by the attached ribbon bookmarks. I keep one in the current month, one in the current week, and one in the bullet journal section, and that makes flipping back and forth pretty easy. You could also use some fun paper clips, which I love doing in my regular planner. This is the biggest drawback for me, and the reason I could never use these as my main planner. The area for daily planning is just way too small. I can see how it would have worked fine for certain seasons of my life, but right now, I need a lot more space and organization for my daily schedule. Finally, there is no customization to these planners. When I initially received this planner, there were three choices for cover colors, at least, but now there is only orange. Perhaps they will offer more colors again in the future. The inside of the planners, however, are completely standardized. While this is not unusual — the majority of planners out there only have one option for layout, style, features, etc. — it is a drawback for me. There are a lot of planners out there that I love and look great, but ultimately, I want one that I can make my own. Overall, I think these planners are fantastic, and mine has helped me focus my goals, keep track of the habits and skills I want to work on, and get more done. 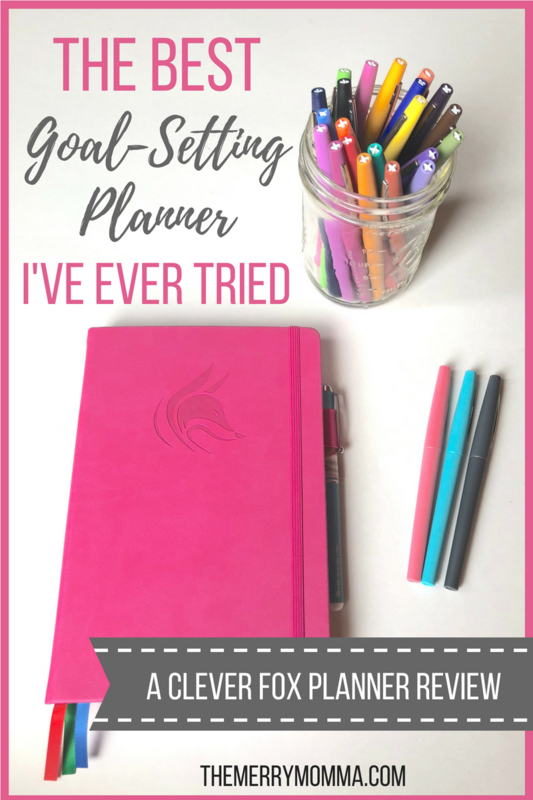 Everything this planner advertises, it will absolutely help you to do. 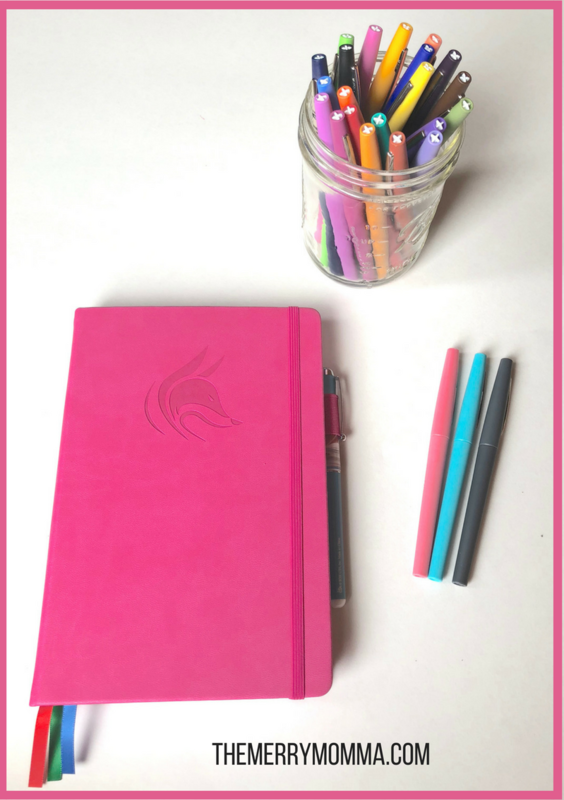 Ultimately, the small daily planning space and lack of customization take it out of the running for my main planner, but it has been an excellent supplement to it. One that I would definitely consider again in the future. If you’re looking for a planner with a lot of daily space and potential for customization, then I stand by my original recommendation. 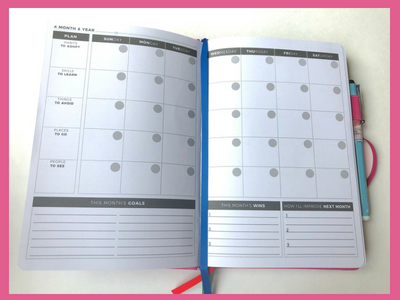 But if you’re looking for something simple, undated, and budget-friendly that will help you establish good habits and achieve big goals, then the Clever Fox Planner is, by all means, a great option for you!